Hi! 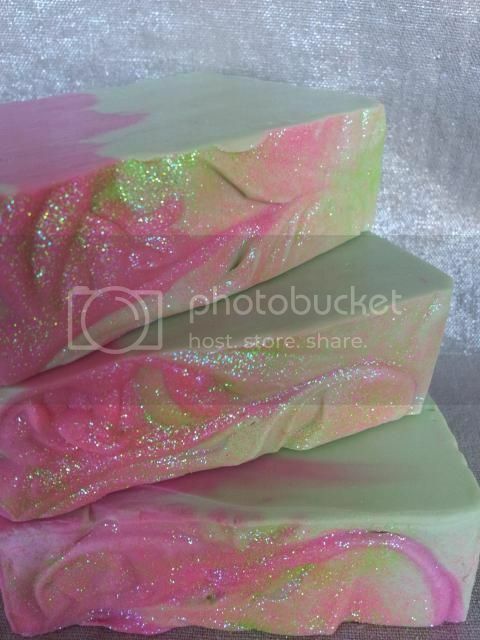 I am an Aussie girl passionate about creating gentle, mild soap from scratch. A range of natural plant butters, oils, botanicals, minerals and exfoliants are included to pamper your precious skin and help it to retain its natural healthy balance. 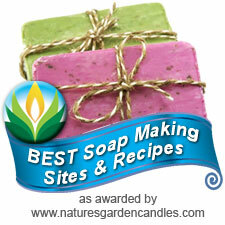 Handmade Soap is BIODEGRADABLE! 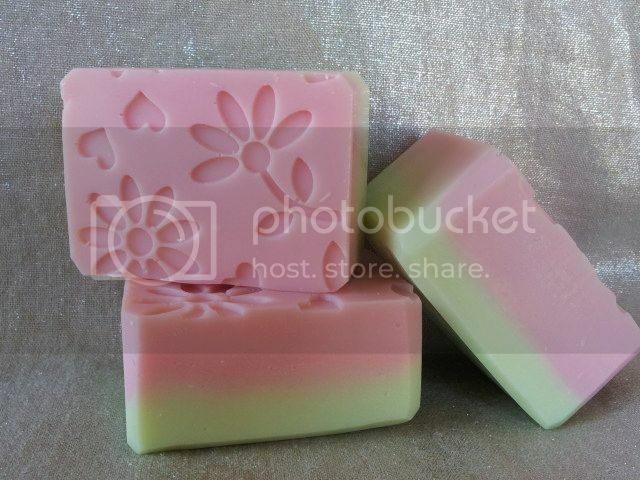 The natural ingredients in handmade soap are gentle to our environment. So go green! Best Wishes and Have a Wonderful Day! 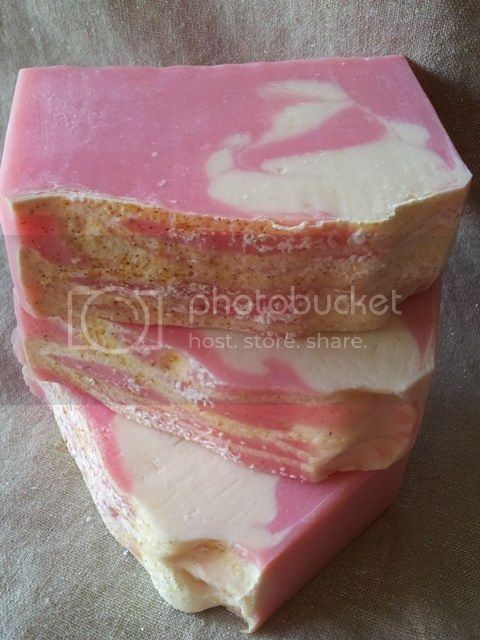 Berry Lime Cider soap ~ this one has strawberry lime cider as the water-based part of my recipe and I matched that with both colour and scent. 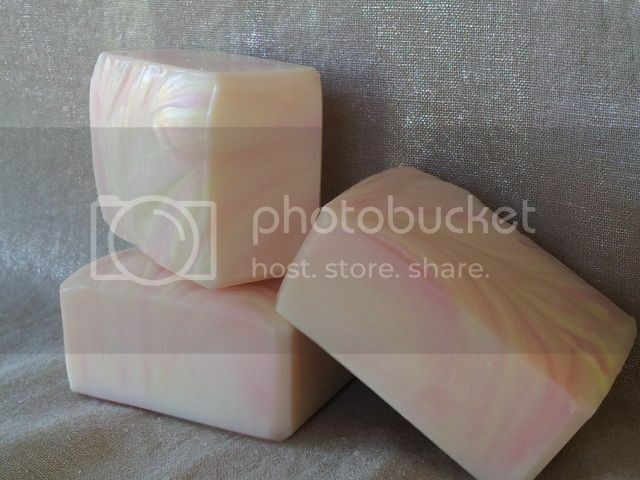 Candy soap ~ scented with a fruity blend of juicy raspberries, citrus and vanilla. 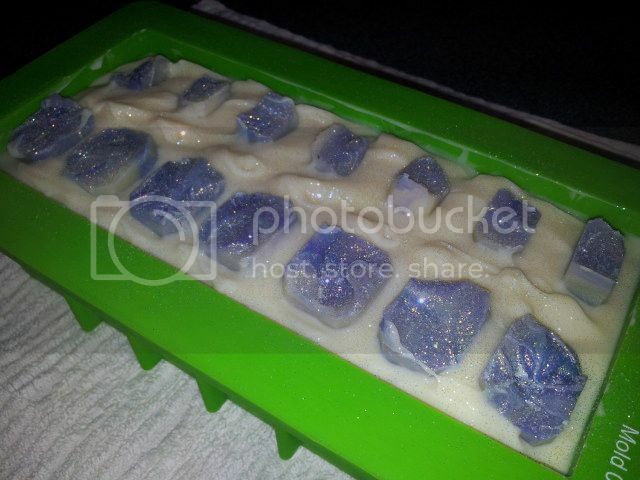 Crystal Delight soap ~ this one thickened up fast so you can see a few air bubbles here and there. 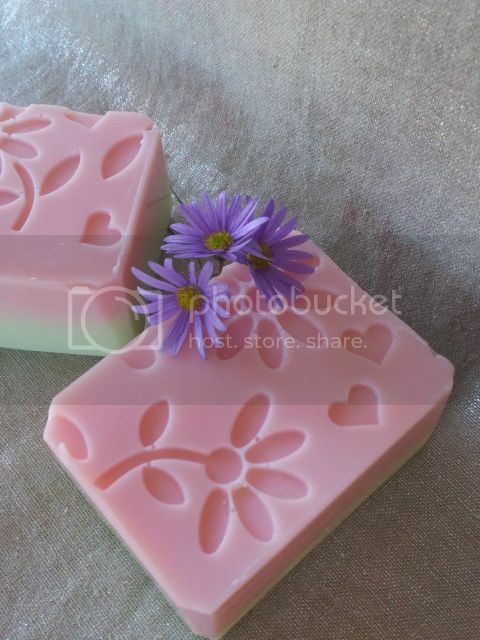 It is still a lovely soap and in my favourite pastel pink. Scented with an in-house custom blend interpreting the perfume Bright Crystal by Versace. 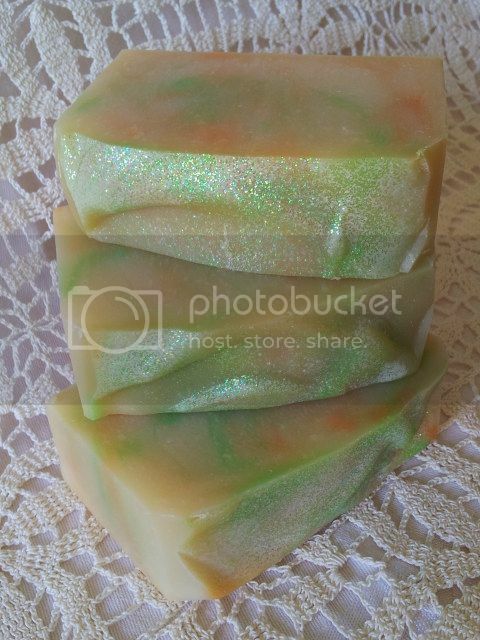 French Pear soap ~ scented with a lovely fragrance reminiscent of a rich, juicy and meltingly smooth pear dessert. Warm, spicy and alluring, this is an amazing pear fragrance! 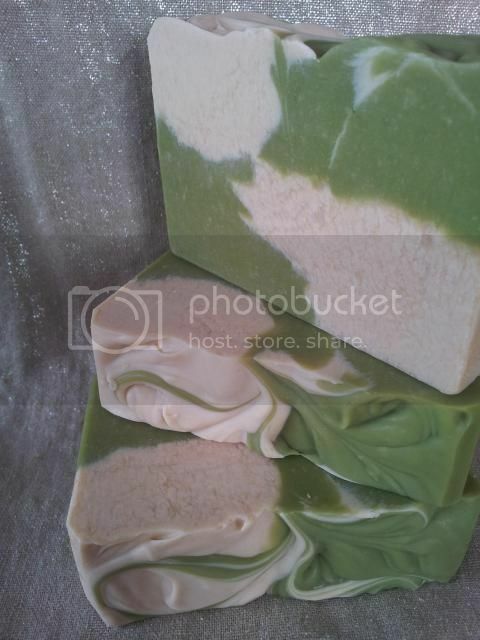 I had fun creating this 'shabby chic' style and will work on getting more of a pear green tone for my next batch. Until then, have an awesome week! 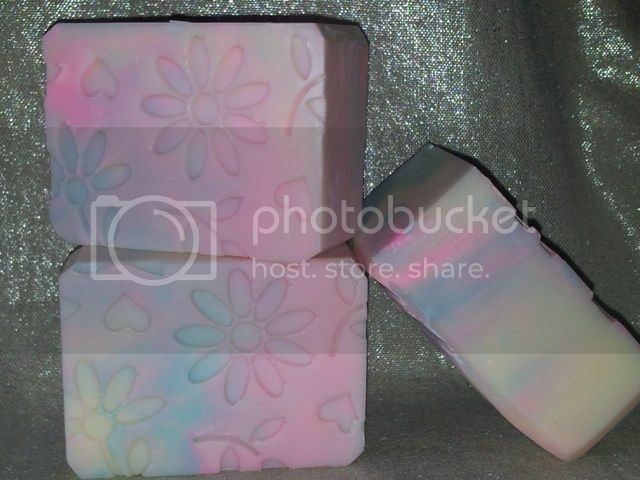 My new Fairy Dance soap is cut now and I finally got around to taking some photos for you. I did have a little holiday in the middle there, so that side-tracked me. 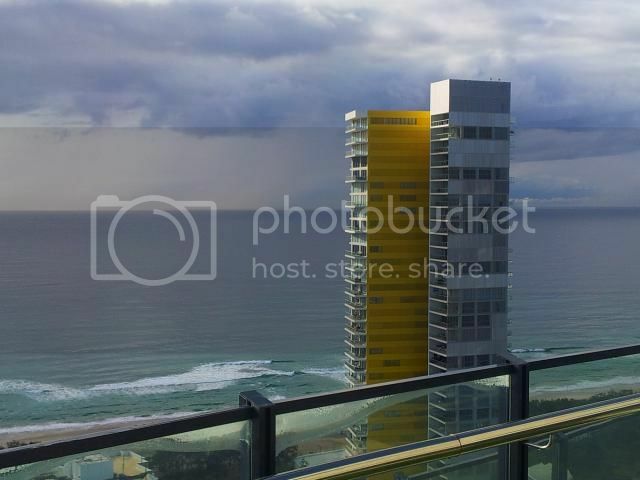 Five days on Queensland's glorious Gold Coast. Even though it is the middle of winter in the southern hemisphere, we had mostly sunny and warm days and the scenery (and food!) were wonderful. 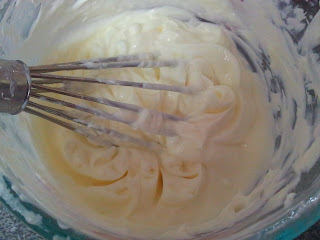 But now it is back to reality..... and soaping pics. 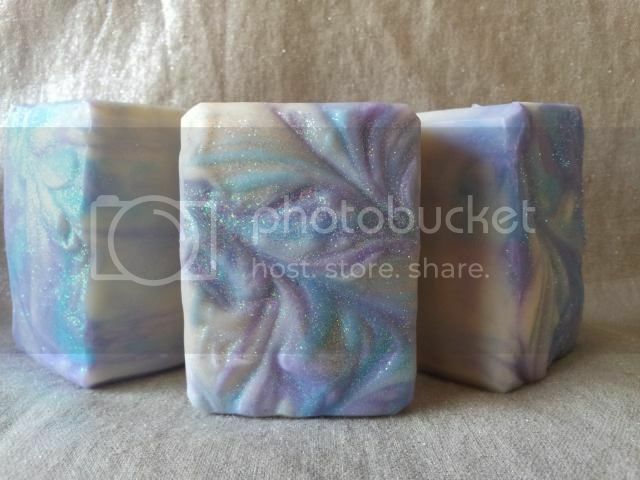 "just keep swimming, swimming, swimming"
I scented it with a custom blend of fragrance oils that individually play very nicely in my soap. Together however was a different story! The end result is definitely worth it as the blend is fruity, tart, sweet and floral all at once. Sun-sweetened, delicious dark raspberries warmed by a hint of vanilla is then rounded out with fresh florals, greens and bamboo. In closing, would you like to see a couple of photos from my recent holiday? 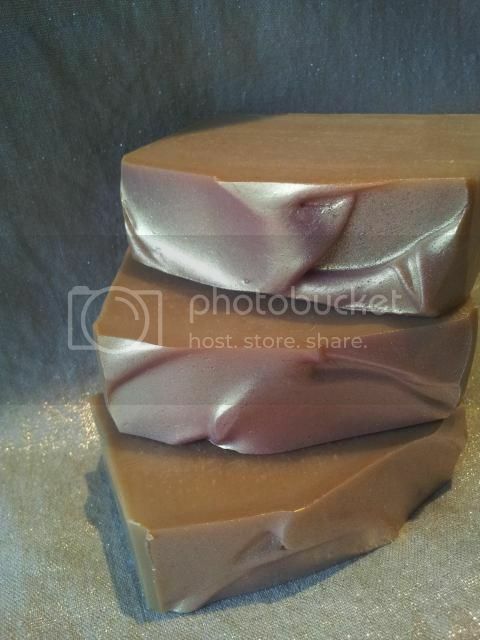 ......for a cut pic of my new Fairy Dance soap shown in my most recent blog post, would you like to see my new Chocolate Fudge soap? 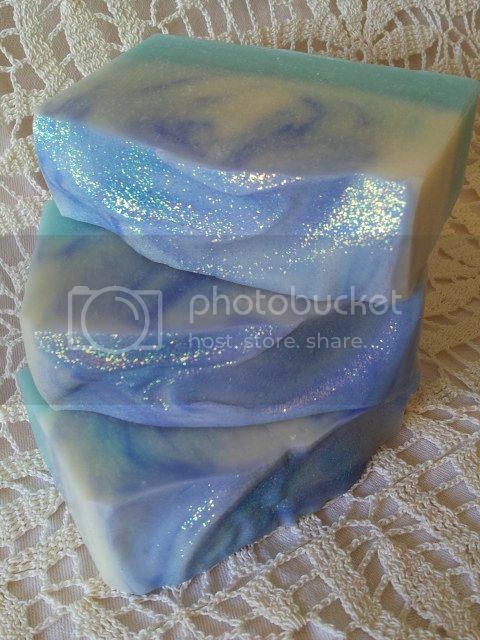 I made this after a good customer requested the scent (thank you!) and I am really very happy with how it turned out. 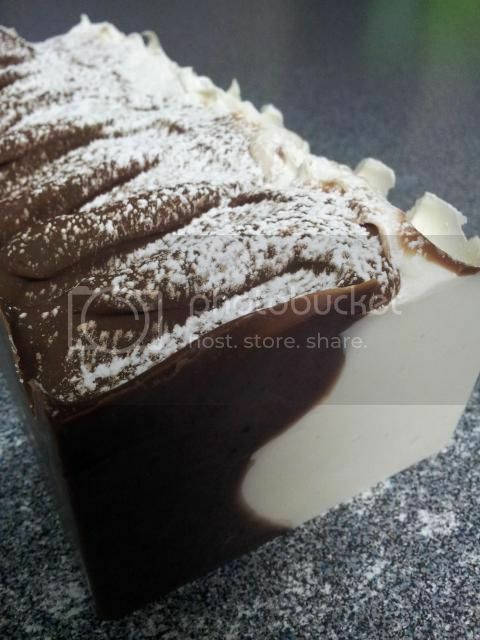 My Fudge Soap range now consists of Raspberry Fudge, Orange Creme Fudge, Honey Fudge and Banana Fudge as well as the newest choc one. 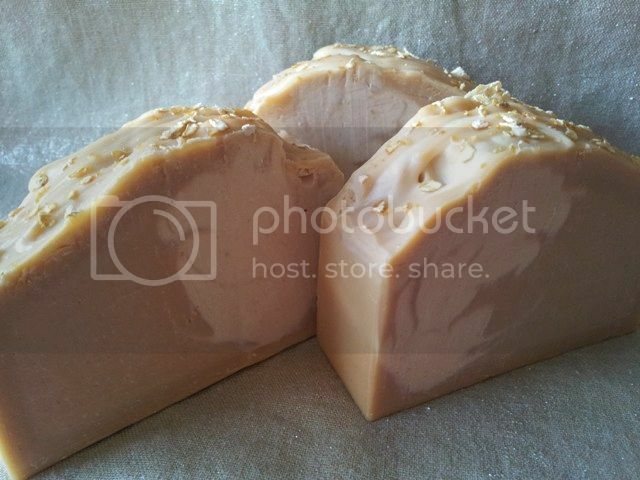 I developed my recipe with the idea in mind of creating soaps that smell like fudge and look like fudge and, more importantly, even feel like fudge. Each bar has a dense and velvety texture that really does feel fudge-like to me. 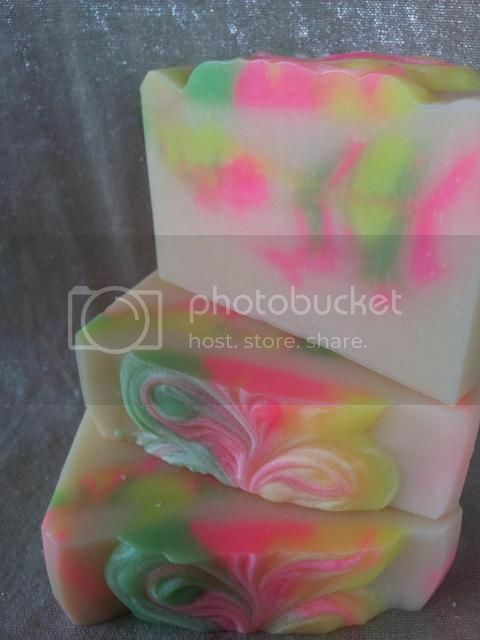 Lather is something very important to me as a soapmaker and I am thrilled with how this range of soap lathers. 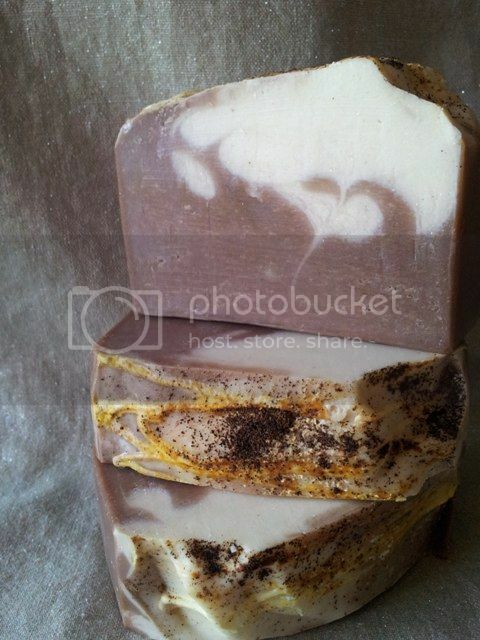 Each bar has a lovely, thick and velvety lather that is truly decadent to wash with. 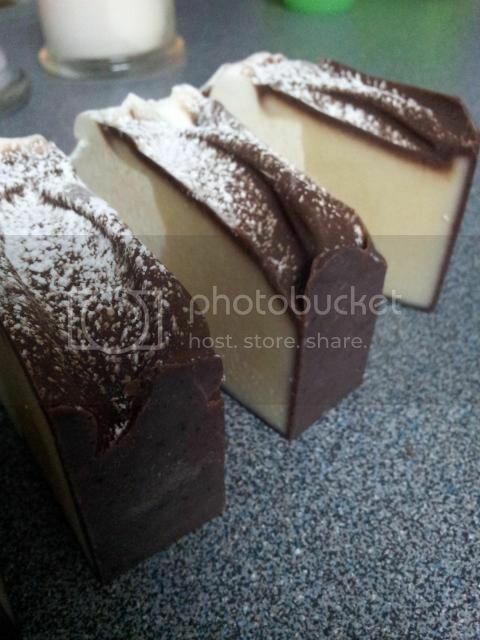 This soap smells gorgeous, if you love chocolate that is. 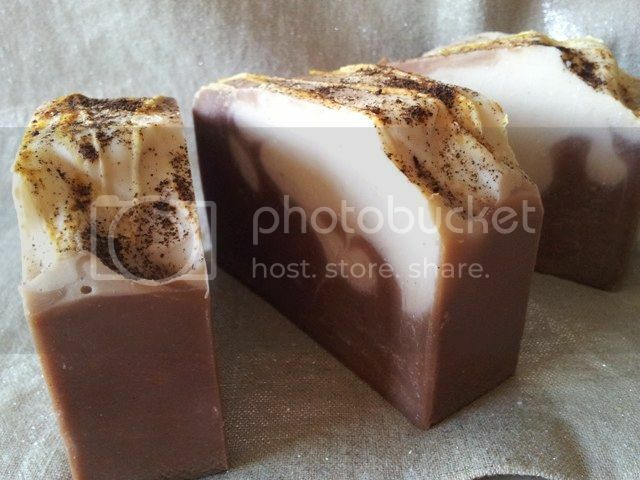 It is scented with a really rich, decadent, dark chocolate with drizzles of vanilla and cream.... yum. Have you ever felt really frustrated when a project you are attempting just doesn't go to plan? 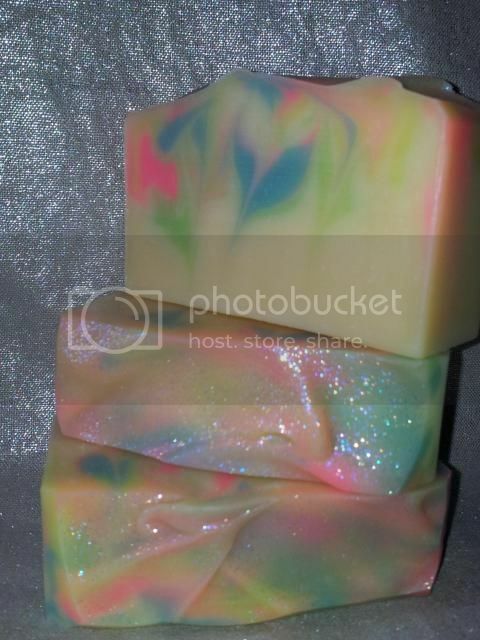 My new Fairy Dance soap frustrated me... big time! 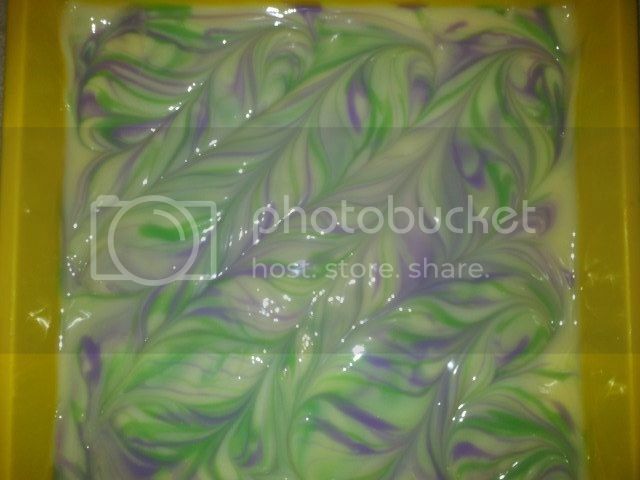 I soaped a custom scent blend using fragrance oils that I know do not accelerate trace in my soap, yet my soap batter set up very quickly. For non-soapers, 'acceleration' means the soap batter gets thick fast and this can foil the best laid swirly plans. Once Fairy Dance is cut I will share more pics here. 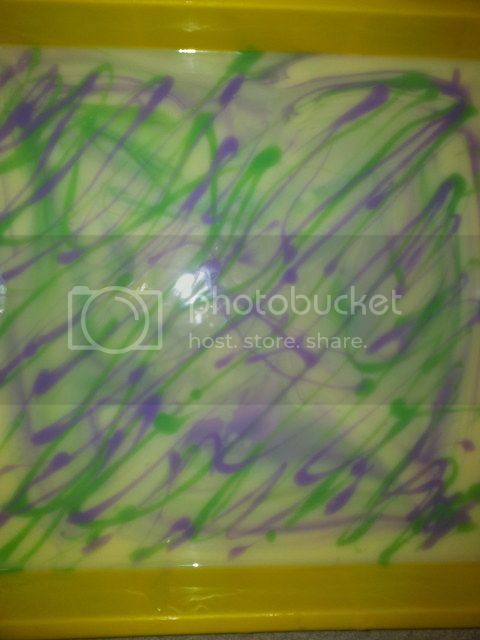 Now I hope the inside swirls worked! I have been having fun soaping just lately. Well, I always have fun..... but I have been playing a little more and using my creativity. This can be challenging and the results are always worth it! Hydrangea Holiday ~ Scented with a realistic, fresh hydrangea fragrance to transport you to your own private Mediterranean escape! 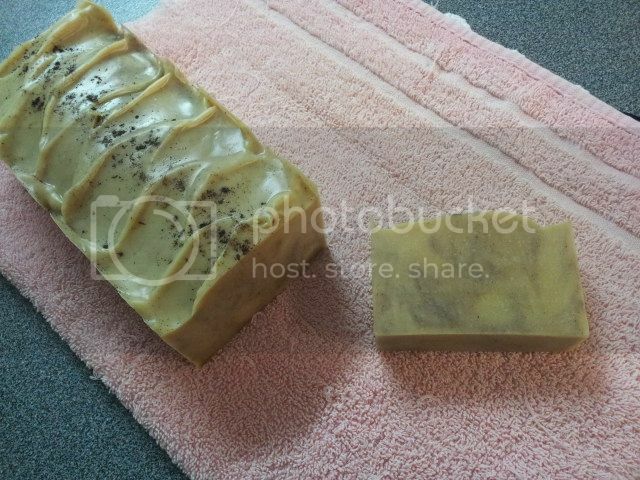 Teamed with gentle olive oil, silk and with shea butter added for a creamy, moisturising boost. 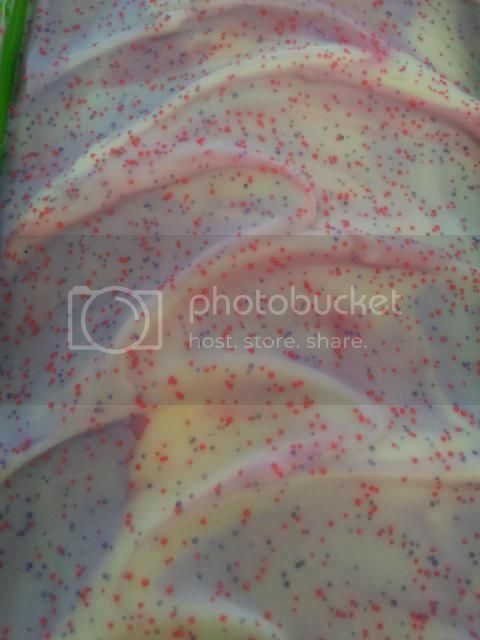 This fragrance accelerated very quickly - as florals can do - and my usual chopstick swirl texture on top ended up a little lumpy, so I liberally sprinkled glitter and voila! This is so pretty I will be keeping it in my regular line up. 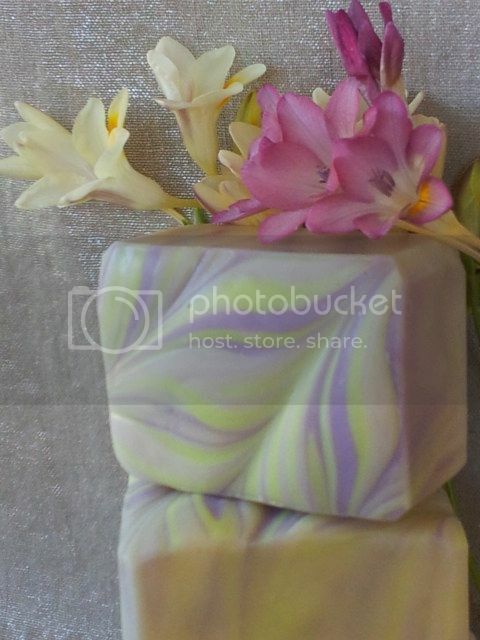 Ma Belle ~ This is one of my luxury buttermilk soaps scented with a blend of citrus, rich florals and earthy herbs; balanced on a glowing base of precious amber, rich vanilla bean and warm musk ~ warm, enveloping, sensual and comforting. 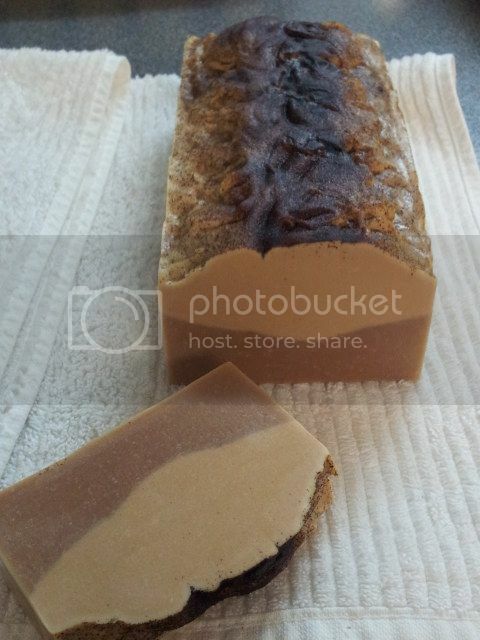 How do you dress up a gorgeous smelling yet quite brown soap? 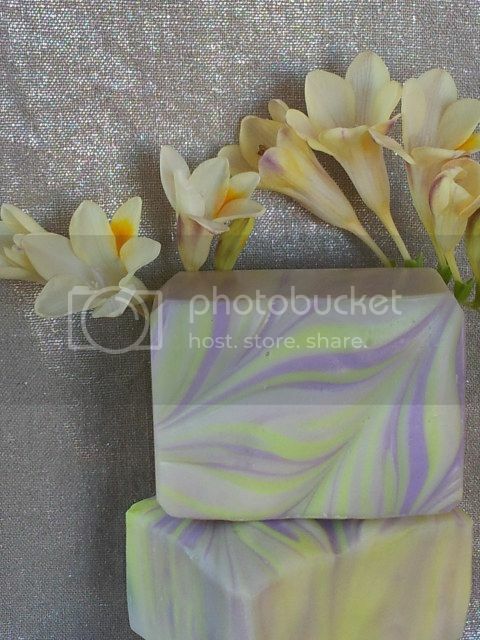 I was encouraged to try brushing mica on top and I think it gave this soap an elegant look to match the rich fragrance. 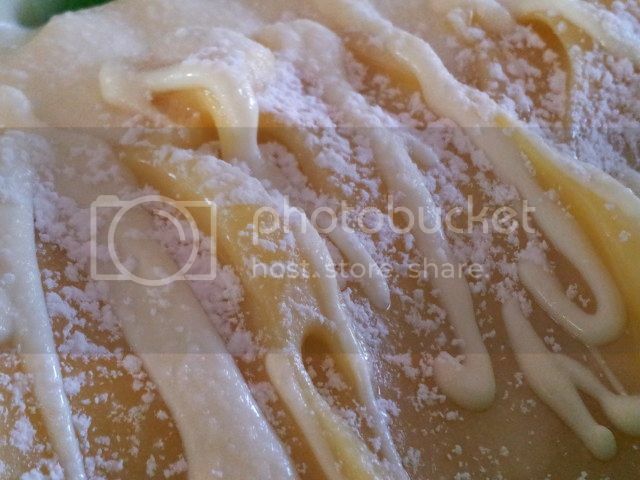 I have been very remiss in posting to my blog just lately and I am so sorry! 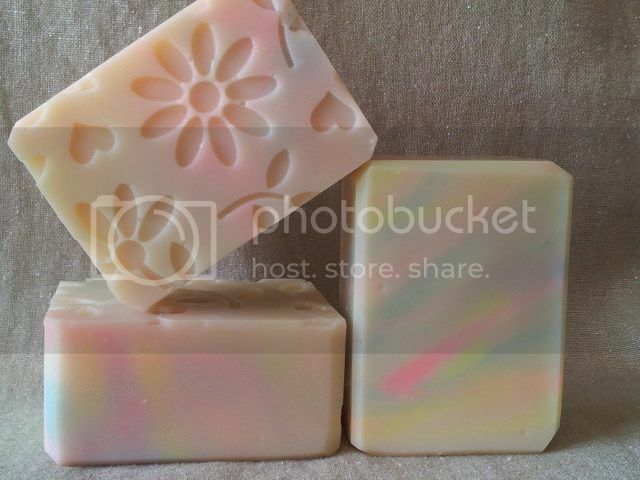 Here is just a quick 'catch-up' post, showing you pics of a few of my latest creations. 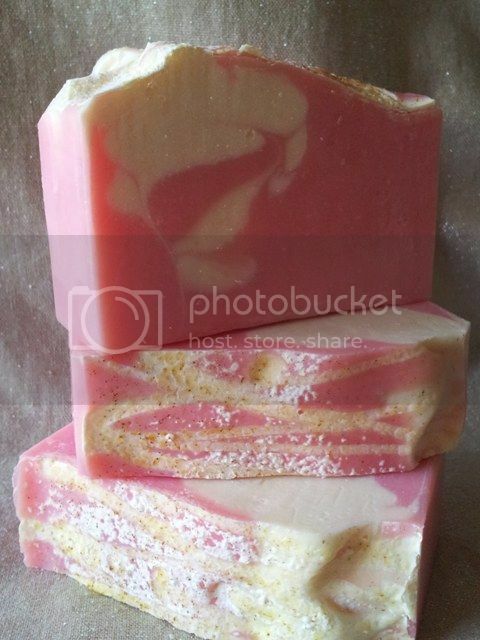 My thoughts have turned to food as inspiration for soap, but not your usual Christmas fare. Living in a country that celebrates Christmas in Summer we tend to eat salads and cold compilations at Christmas time. Why did I start craving fudge? I have been eating sugar free since February so that may have something to do with it. 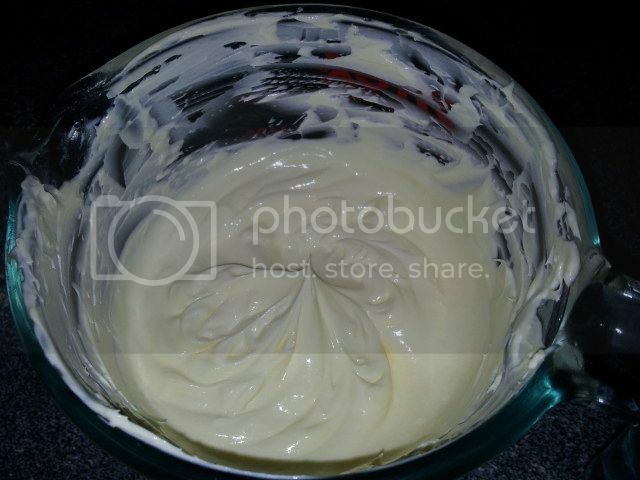 I have found several wonderful blogs dedicated to healthy eating and discovered that you can make sweetly indulgent treats without sugar, and fudge has been enticing me for a while now. 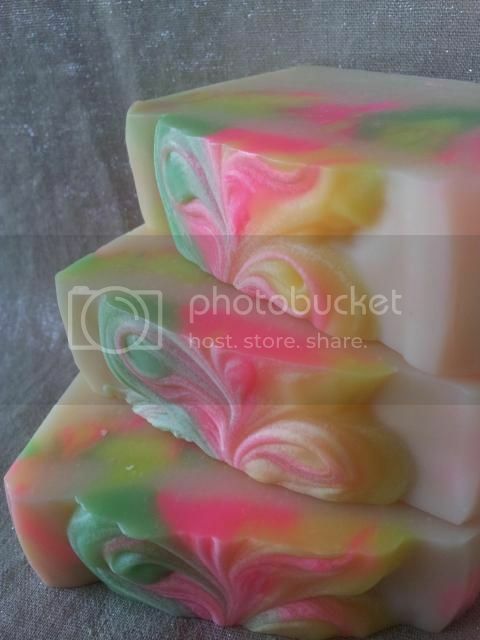 This craving has transferred to my soaping creations, so please welcome my new range ~ Delightful Fudge Soaps. 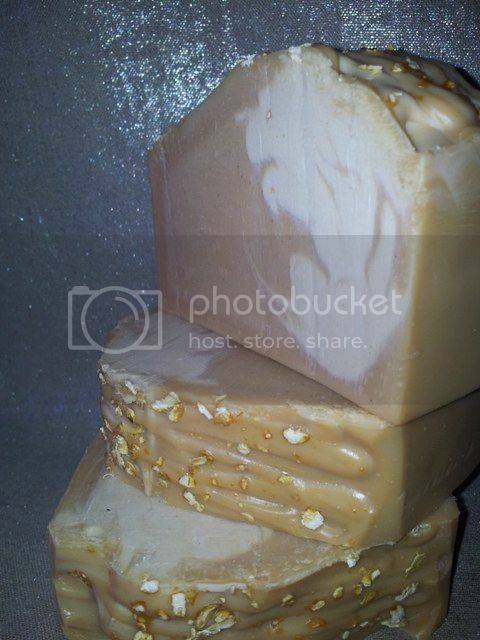 These soaps have moisturising olive oil and creamy cocoa butter with luxurious colloidal oatmeal added too. Or so it seems in my little corner of the world. My jasmine is blooming and freesias are opening up right now and as for the daffodils ~ they are practically finished! Who said Spring has to start on 1st September anyway? My most nostalgic memory from my childhood is walking along the lakefront, picking freesias from the grassy banks and inhaling their gorgeous scent. What is your most precious childhood memory? Hi there! Today the sun is shining (when they said it wouldn't) and a very cool breeze is blowing my washing line dry. Here on the East Coast of Australia we have been blessed with frequent rain (frequent rain...) over the past two years. We are usually a very dry continent, so all this extra rain has been either a bonus for gardens and lawns, or havoc waiting to be wreaked via floods. Still, today it is not raining and my washing is drying nicely so I am thankful. 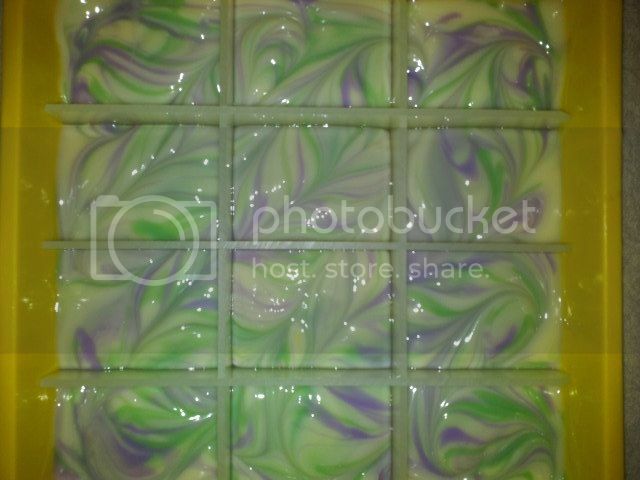 I have been making soap for a new wholesale account and actually thought to take a couple of pics of a new batch in the process of being swirled in my mould. 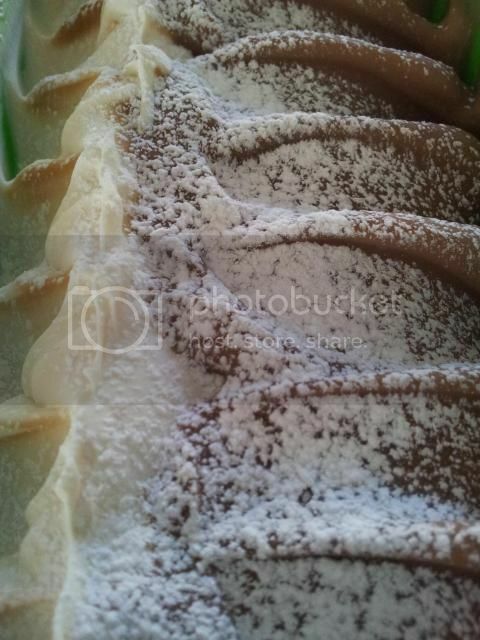 Would you like to see how I create my swirls? It is such a simple process with a lovely result. 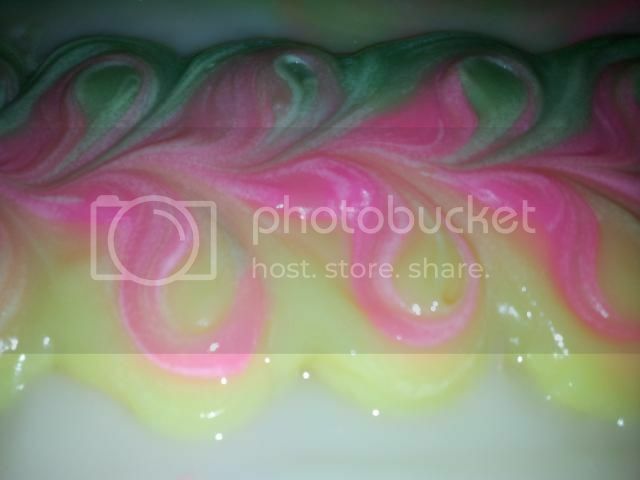 I use the 'In The Pot' method to colour my soap and once it is poured into the mould it swirls itself. 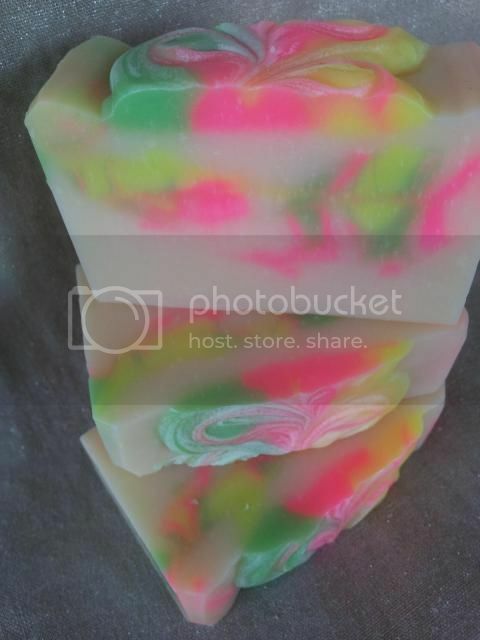 Here you can see the soap batter has been poured into my Nizzy mould and I have drizzled the last drops of coloured soap over the top in diagonal lines (sorry for the blurry photo). 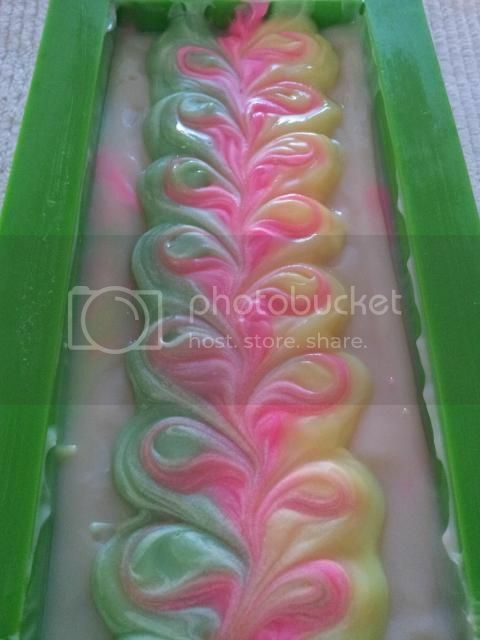 Now you can see it after I have used a chopstick to pull through the soap diagonally back and forth across the mould, starting at the top right corner and finishing at the bottom left. 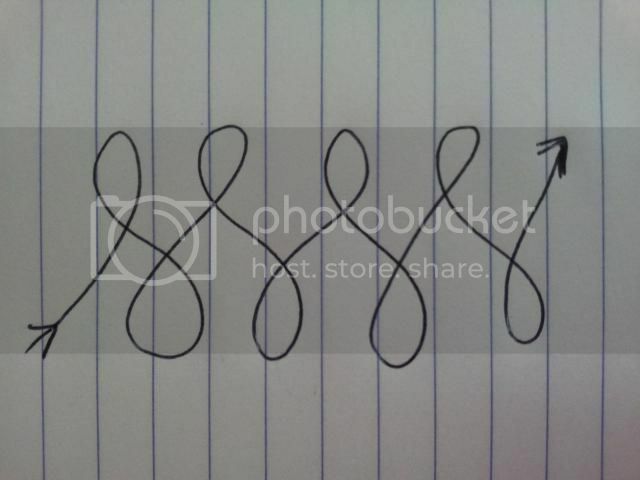 I then swirl in the same manner across my first lines, starting at the top left corner and finishing at the bottom right. 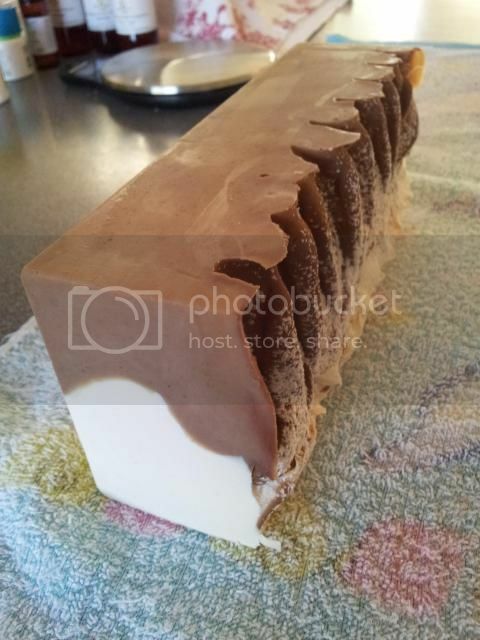 Lastly, I place my dividers into the soap batter and now you can see how each final bar will look once unmoulded and trimmed. .... really, really sorry. I am having trouble believing how long it has been since I posted here. To me, it feels like only a few weeks. What have I been doing you ask? 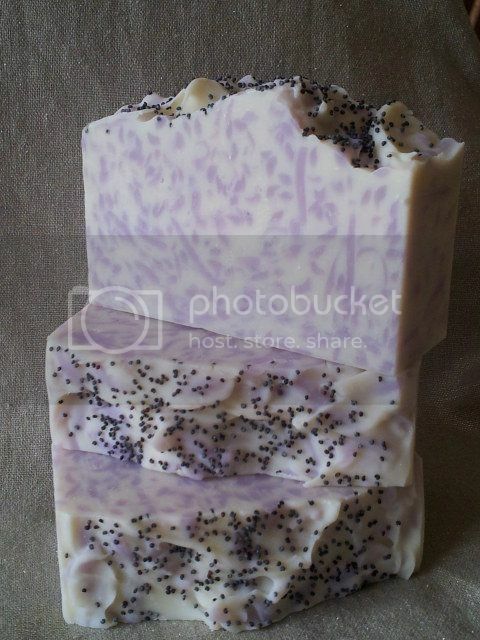 I have been spending time catching up on soap re-stocks as well as spending time on more mundane things, like work. Hubby and I have also been 'spring cleaning' in winter. The reason? A really, really good one ~ we have had quite a lot of our interior rooms re-painted (for the first time in more than 18 years!) so it was very well worth scrubbing walls, ceilings, skirting boards and architraves for that. To make up for how long I have been neglecting you all I am sharing some quick pics of new creations (click on the pics to see them better). I will have some prettier 'staged' photos very soon, I promise! 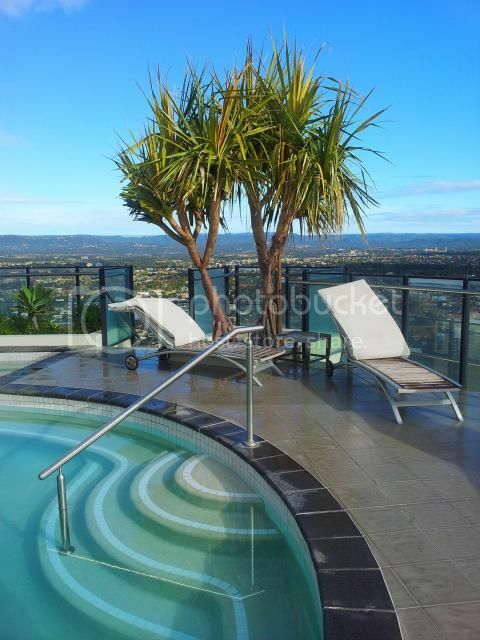 I will be back very soon with some polished up pics to share. Thank you for being patient with me and have a lovely day! 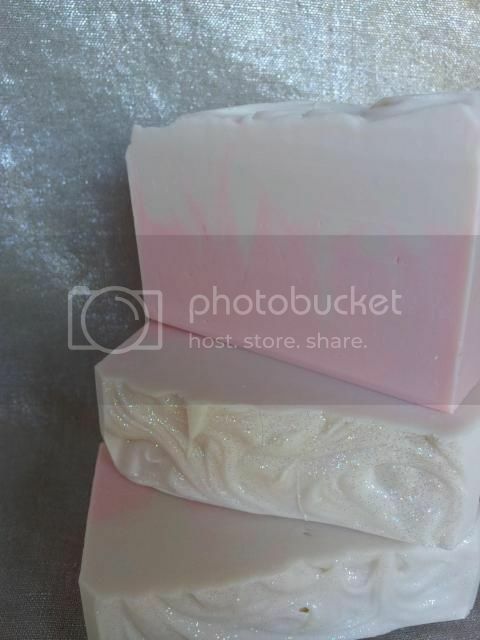 Just click on my Facebook page link to view my current range of soaps and ordering information ~ thank you!